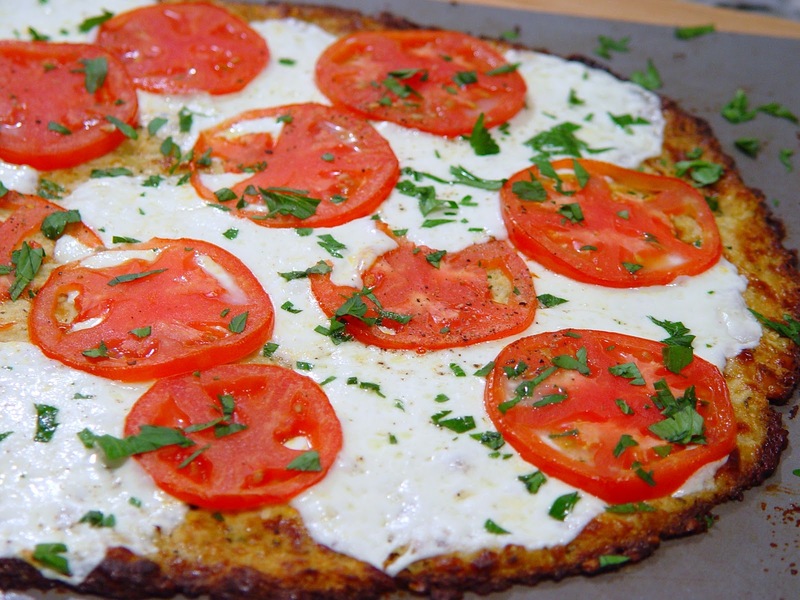 Margherita Cauliflower Crust Pizza Slices! This cauliflower pizza crust has been one of my most popular posts. I have made this recipe many times now and have a few tips to help you make the best low carb delicious pizza that you'll ever have. 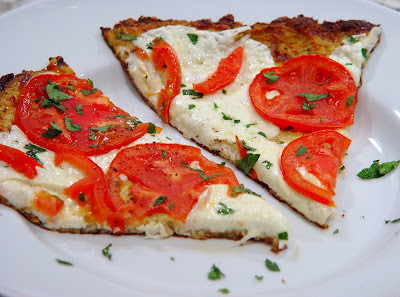 Follow my recipe for Cauliflower Crust Pizza and the tips below and you will have a fabulous tasty pizza everytime. Spray a non-stick pan liberally with non-stick spray. Be sure to cook the crust on a high temperature, 400 degrees for 25 minutes or until crispy on the bottom and firm on the top. Every oven varies but the key is to have a crispy bottom so that the pizza stays together and slices up nicely. After the crust is pre-baked, loosen it gently with a spatula so that it does not stick to the pan as you continue to cook the pizza with toppings. If you go a little lighter on the sauce and toppings, the pizza will hold together better. The Margherita Pizza toppings of buffalo mozzarella and vine ripe tomato slices are a perfect choice. Follow these tips and you will have perfect low carb pizza that is so delicious that you won't feel like you are missing a thing. I hope you let me know how it works out for you and what your favorite toppings are!! !